Dodos have reemerged, furious about being extinctified (not so extinct after all! ), and now they are threatening the planet with utter destruction! It’s up to you to quell the uprising by any means necessary. Boots, bombs, bait, and more are at your disposal, and perhaps you can even convince the hungry nearby plants and animals to join in your dirty work. Chain the Dodos from trap to trap, manage resources, outsmart the AI, and earn achievements and medals in this tower defense game with a twist as you strive to be the highest-scoring Dodo assassin of all! Last March of the Dodos is a tower defense game with a few unique twists. First, the artificial intelligence of the enemy units (the Dodos) allows them to learn the types of traps that block their way to the exit, and they then reroute to avoid the player’s schemes (they’re not much brighter than that, though-they are Dodos, after all). Second, the 3D space is critical to the experience, as Dodos can be tossed through the air and chained from trap to trap or eventually launched into deadly volcanoes. This integral piece of the experience is the method through which most achievements and the highest scores can be earned. Finally, the environment can be harnessed to increase destruction and preserve player resources. Guide the marching Dodos into mobs of bird-eating plants, boot them into volcanoes, or discover the secret to summoning the ravenous tiger shark-complete with orange and black stripes! Can extinction really be this lighthearted and fun? 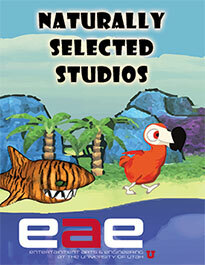 Beyond its aesthetic theme, each level is designed with a specific gameplay purpose in mind. 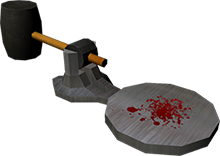 Whether overtly tutorial or meant to subtly encourage the use of traps in specific ways, the levels lend themselves to special challenges, emphasized by unique achievements for each. Dodos have resurfaced, apparently not as extinct as we thought. However, they’re still not terribly pleased with how we pushed them to the brink. They’re back in full force now, angrier than ever and bent on global destruction. Marching from one land mass at a time, they’re attempting to gather themselves into a single, unstoppable army. Last March of the Dodos! The core mechanics of the game are based on traditional tower defense mechanics. However, our unique twists include AI that learns to avoid the player’s traps, physics-based unit collisions and launches, and the chaining of Dodos from trap to trap for big score multipliers and specific achievements. Destroy the vengeful Dodos before they spread across the world in their hot air balloon! Set Traps in their way to redirect their paths and knock them around! Use the environments to your advantage! 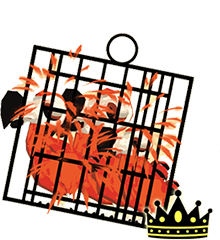 Chain Dodos from trap to trap to score bonuses! 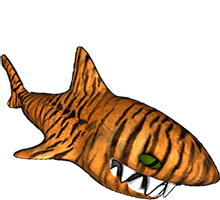 Have you noticed hungry tiger sharks lurking around the shores?